L’amour est la poésie des sens | One quality, the finest. 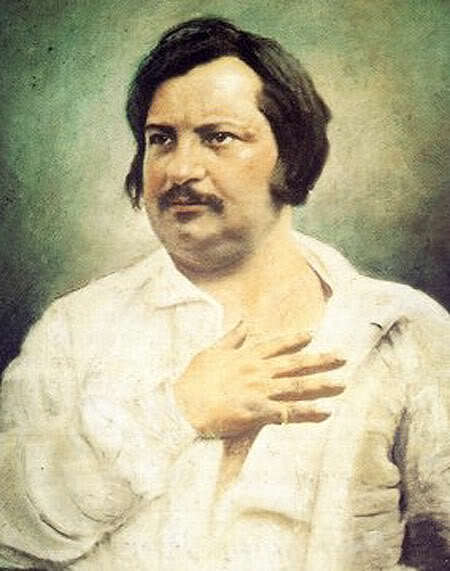 French novelist Honoré de Balzac was born on May 20, 1799. He is best known for a sprawling series of books and short stories that he started in 1832 that came to be known collectively as La Comédie Humaine. The “de” in his name was added as an affectation to help him fit in better in higher social circles, not an indication that the family was actually noble. He is best known for Le Père Goriot and Eugénie Grandet. Balzac’s enormous literary output took a huge toll on his health. He died in 1850, just a few months after having married his longtime love. Today’s saying is a Balzac quotation. L’amour est la poésie des sens (lamoor eh lah poeAzee day sohn) means “love is the poetry of the senses.” The line is taken from Physiologie du Mariage, a treatise on wedded life that he wrote before having been married himself – always risky! By all accounts, however, his relationship with Ewelina Hańska was based on eighteen years of correspondence from which developed a deep love and affection. If he wrote her lines like that, it’s no wonder she fell in love with him! 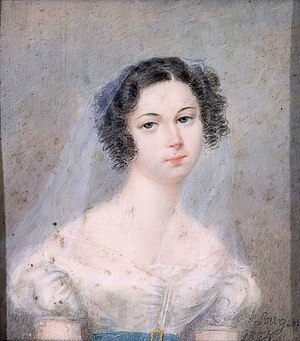 This entry was posted in Literature, People and tagged Balzac, Eugénie Grandet, Ewelina Hańska, French citation, Honoré de Balzac, La Comédie Humaine, L’amour est la poésie des sens, Le Père Goriot, Père Goriot, Physiologie du Mariage. Bookmark the permalink. Pingback: Un diamant taillé à facettes | One quality, the finest.